Mr. Horowitz writes thought provoking stories with lots of politics, black market dealings, assigned killings, and hard hitting action. This is a great series for young boys who find the run of the mill stories boring. These are not boring! The story of Yassen’s youth and the tortures he was put through after the death of his parents is an ugly tale, but life is no picnic. The man who takes control of him first makes him play a game of Russian roulette. He survives that but understands that now his life belongs to the man in front of him. When he finally escapes him, the life he goes into is no better. What’s even more ironic is that the man teaching him will be Alex Rider’s father in the future. My favorite part of this story is when Yassen gets even with those who treated him badly in the past. It’s not very nice, but they deserved it. 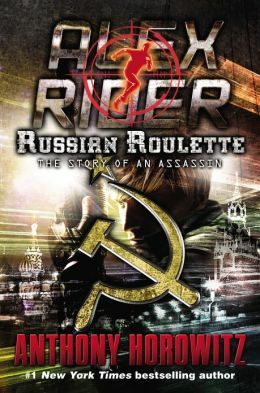 His last assignment is to kill Alex Rider. There’s a good surprise ending that tells you the series is not done yet.